The Sundance Film Festival is opening its VR segment to anyone around the world through a free VR app. 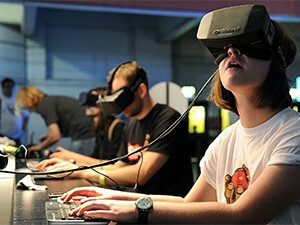 People around the world will be able to view certain of the Sundance Film Festival's movies in virtual reality (VR). The alternative film festival is held annually in the US and features independent and 'arty' films. Not all films make it to the theatres afterwards, and most not all the way to South Africa. This year, however - in a push to showcase VR as a viable film form - 11 VR films will be available to watch via a free app anywhere in the world. Applications of VR are vast, reaching far beyond the world of gaming. Film-makers are also embracing the format as an immersive and visceral way of telling stories. The Sundance Film Festival is taking place in Park City, Utah. VR enthusiasts will have to download the Android app and have access to a Google Cardboard headset or Samsung's Gear VR to watch. The VR films form part of the New Frontier segment at Sundance, which showcases new ways of story-telling. Google's low-cost VR goggles, Google Cardboard, aim to bring VR to those who cannot afford hi-tech headsets. It is made out of cardboard and holds a smartphone in front of lenses. After the smartphone has a VR app downloaded to it, the viewer is able to move their head in any direction and see a 360-degree virtual world. The Sundance app, created by IM360, will show the films for a limited time, until 12 February, although Sundance has said the app will showcase the VR films throughout the year for short amounts of time. "Sundance as a festival has been growing in different ways to make our programme more accessible," Shari Frilot, head of Sundance's New Frontier segment, told Wired. "So this is a natural extension of what we've been doing all along to try to give access to people outside of Park City." Two films available on the VR app will be Reggie Watts' Waves and first-person Planned Parenthood experience, Across The Line, among others. Last year in Johannesburg, a New Dimensions VR exhibition showcased the greatest hits in VR film over the last two years. Curators of the exhibition said mainstream VR is closer than we think, and they wanted to show film-makers from Africa the potential of the medium so they are not left behind. The New York Times gave away, in November last year, more than a million Google Cardboard VR sets to promote the launch of its own VR app.